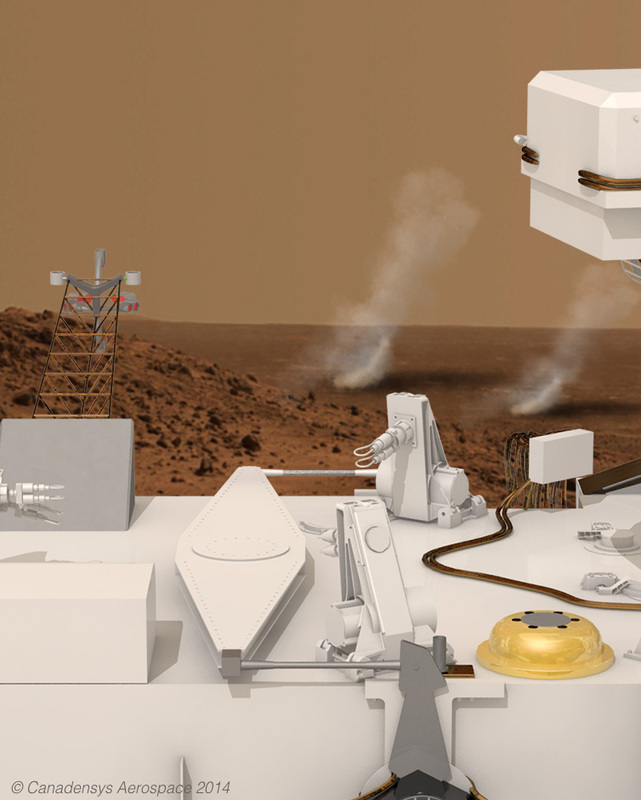 ARES is a flexible, affordable suite of scientific sensors that together form part of a Mars weather instrument for deployment on the surface of the red planet aboard and in support of the next generation of international Mars landers and rovers. 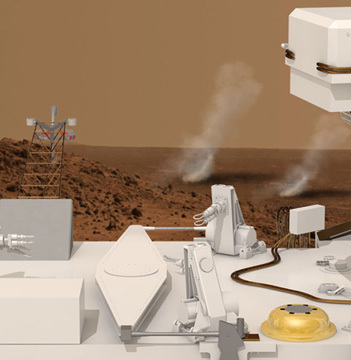 Aeolian Research for Exploration and Science (ARES) consists of a sonic anemometer specifically developed for performance and robustness in the Martian atmospheric environment and a laser-based dust sensor for measuring time-dependent dust concentration and size distribution. 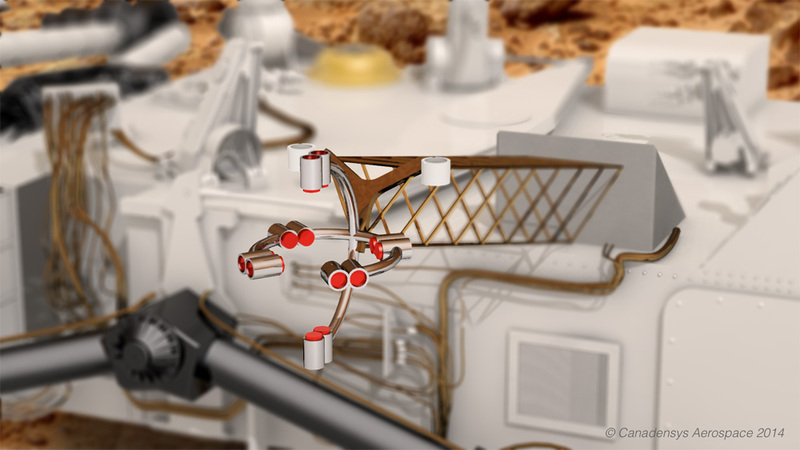 ARES is designed to sit at the front end of the Mars Atmospheric Characterization for Exploration and Science (ACES) instrument suite led by Southwest Research Institute, where the sensors would be located across the deployable boom and main science deck of future Mars lander or rover platforms. ARES builds on successful surface meteorological investigations demonstrated on the 2008 NASA Phoenix Mars mission to directly address high-priority science questions about Martian climate and surface evolution, while also delivering crucial atmospheric and near-surface engineering data that will improve the safety of future human and robotic missions to Mars. 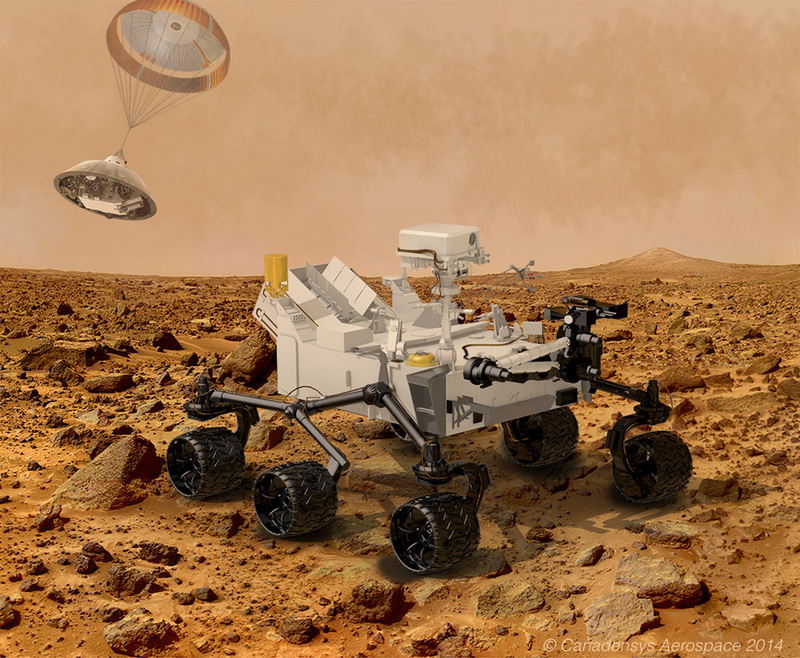 Canadensys is the prime contractor for ARES and is under contract to the Canadian Space Agency for technical and programmatic definition of the instrument suite ahead of future missions such as NASA’s Mars 2020 and Mars Sample Return. ARES is a collaboration between Canadensys and MicroAcoustics Instruments of Gatineau, Quebec, with a core science team led by Carlos Lange at the University of Alberta and Scott Rafkin at the Southwest Research Institute in Texas.